While doing research, I frequently reference one of Mickey Mauer’s books, 19 Stars of Indiana (he has two of these, one focuses on significant Hoosier women, the other, men). Mickey’s story is truly the 20th star…but he’s too humble to include it. I’ve had the pleasure of personally knowing and writing about several people he has highlighted in each book. Last night I was reading the section devoted to Gene Glick and realized that a couple people I have written about or mentioned in other articles are included in his book. David Carter is one of them. Last year, he and a group of friends were trekking in Nepal a mile from basecamp when a major earthquake hit, causing devastation to the area he loves dearly yet where he almost died, twice. Climbing Mt. Everest is a gamble. 20% of all climbers do not live to tell the tale, and it’s not on the ascent, it’s after you reach the top. David’s experiences atop Mt. Everest are not ones that evoke envy, I’m just thrilled for he and his family that he survived. In fact, for David it is a chapter of his life that is over. He is so over it, in fact, that he loaned me his only copy of a disc containing photos from his historic trek. (not only did I return it safely, I backed it up for him to the cloud) David had shared with me his experiences in Nepal, but not full disclosure, for he was not the story, the story was focused on those that lost everything during the quake. As a result of that earthquake, David and his friends have successfully raised money to build an earthquake-proof school, with other aide projects planned. He has friends “on the ground” in Nepal who circumvent the corrupt politics of that 4th world country to make an impact where it counts, in the lives of children and their families. He spent a chapter of his life defying the odds, now he is increasing the odds of survival for others. If Mickey revises his book, he would certainly include this profound contribution of David and his friends to the Nepalese. A few months ago, I had the pleasure of learning about and reporting on the Erskine Green Academy in Muncie, Indiana – a training academy for adults with special needs owned by Arc of Indiana. I knew the Erskine and Green families have been pivotal advocates for people with special needs and the gratitude toward them for their work in this area cannot be overstated. That’s where my knowledge of Erskine began and ended…until last night. To the credit of those that I interviewed for the articles, no one mentioned Carl Erskine’s background prior to having a son with Down Syndrome. The entire focus and significance of his involvement was fighting for the rights of people with special needs. Never once did it come up that he was a professional baseball player. And not just any pro player, Erskine pitched for the Brooklyn Dodges in the 1953 World Series against the Yankees and broke the record for the most strike outs in a single World Series game (held up for over a decade). 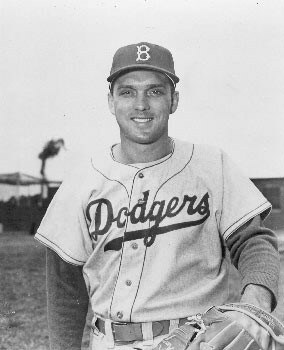 Erskine threw two no-hitters in his career, had 981 strike outs and played with Jackie Robinson. He moved with the Dodgers from Brooklyn to LA. Not one word of this was mentioned. Perhaps it was assumed I knew? In truth, I had no clue. During games, “Back Home Again in Indiana” played when Erskine was called up to pitch and it was also played when Gil Hodges hit a home run, which was frequent (Hodges is from Princeton, Indiana). The loyal Brooklyn fan base would call out, “Hey Oisk, I’m witcha babe, trow it tru his head.” Throughout his life, Erskine was known as “that gentleman from Indiana,” thanks to The New York Times writer Roscoe McGowan. I believe Erskine’s biggest contribution to humanity is not the joy he brought to Dodgers fans, but the lives he has impacted through his work with helping those with special needs. He is one of the founders of the Hopewell Center and greatly impacted the Special Olympics in Indiana and beyond. This is why he is honored with the namesake academy in Muncie. He was a champion where it counts, with helping bring dignity and purpose to the lives of people with special needs. His greatest achievements are not those performed on a mound in a ballpark surrounded by fans, but the accomplishments he made quietly and lives of those he has impacted through his work with helping people with special needs. I love that he is a stronger coach than player. 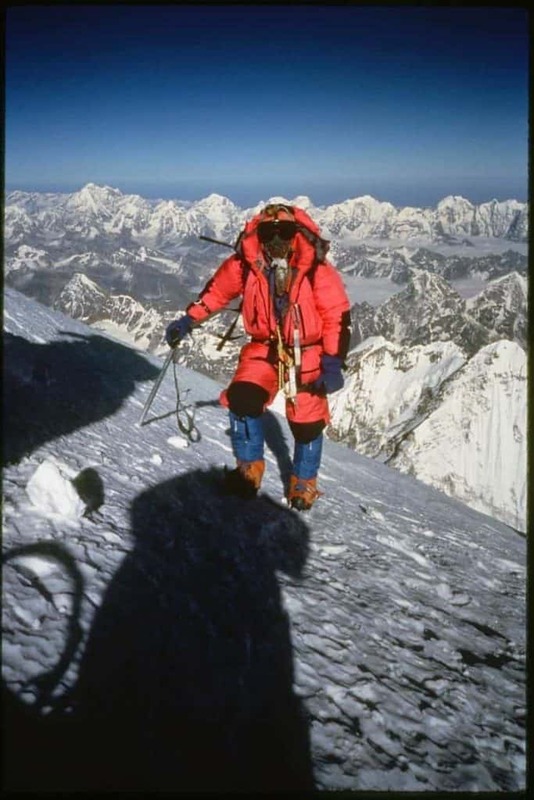 David Carter was once fearless, dancing with the high probability of death to scale a mountain because it was there. 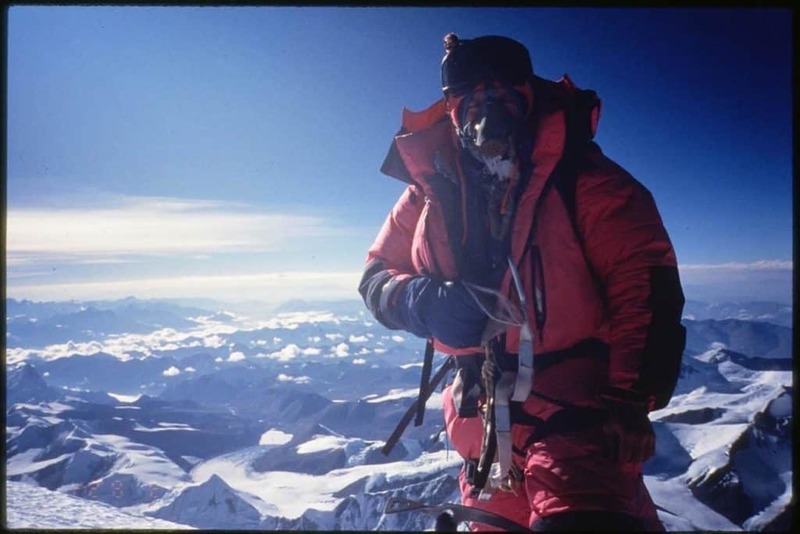 David’s humanitarian efforts to help Nepal are more impressive than reaching any summit on earth. David is enabling others to reach their own peak.